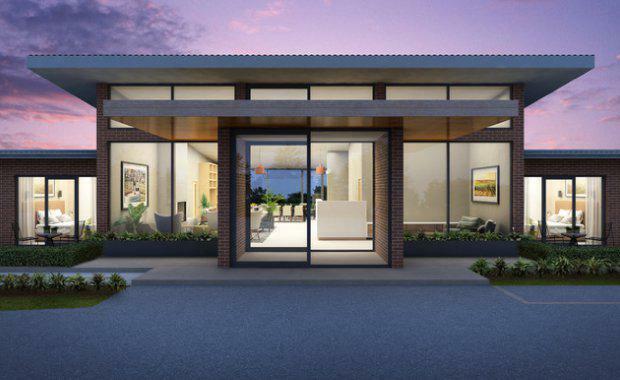 Canberra-based Abode Group’s latest offering, in the NSW town of Murrumbateman, will make a significant contribution to the local economy and community when it opens early in 2018. The four-star, 52-room hotel located 40 minutes north of Canberra will attract an extra 23,000 visitors to the area each year – a boon to local wineries and Yass Valley tourism. “It will put the Murrumbateman region on the map as one of Australia’s key food and wine destinations,” Abode Group Sales and Marketing Manager Sean Smith said. Forecasts of an extra 23,000 visitors annually to Murrumbateman and the Yass Valley Region are based on a modest hotel occupancy of 65 per cent; representing an annual injection of more than $1.85 million into the local economy. Abode Murrumbateman will immediately employ up to 20 local workers and offer training pathways for team members through the Abode Academy, the Group’s in-house training program delivered in conjunction with the Canberra Institute of Technology. 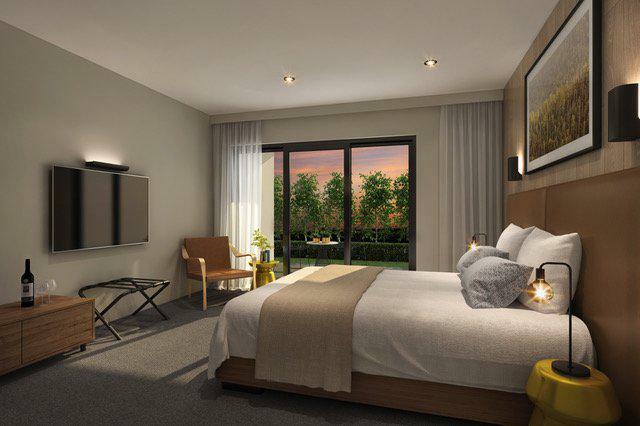 “Abode Murrumbateman will attract a diverse mix of guests, ranging from domestic overnighters, wedding and special-events groups and also inbound tourism through existing direct partnerships with the likes of Asia’s biggest online travel agent, Ctrip,” Smith said. Designed by Canberra architect Hugh Gordon, the “long house” is a nod to the grand pastoral homesteads of Australia’s rural heritage and features a series of linked single-storey pavilions. The main entry pavilion, which houses reception, living and dining areas, features dramatic vaulted-ceilings and tall windows offering views north and south. Guestrooms in various sizes and styles sit to the east and west, with the larger bedrooms clad in timber in keeping with the main pavilion. Abode Murrumbateman’s exterior design and material selections of brick, stone, timber and glass, with corrugated steel roofing, is in keeping with rural vernacular. The architecture will be complemented by extensive landscaping. “Construction has already begun on the 50-room hotel and we expect to welcome our first guests in February next year,” Donkin said. The Yass Valley Council says the Murrumbateman hotel will increase tourism in the area by 30 per cent. Murrumbateman fills an accommodation gap, with local business and wineries welcoming the development as essential for tourism and growth of the area. Neil McGregor and Fiona Wholohan, of Yarrh Wines, say the Abode Hotel will be a major boost, “the sooner it’s built the better. "“We get regular enquiries from visitors about where to stay in Murrumbateman and, of course, options are pretty limited. “The hotel will make a big difference – serious food-and-wine tourists want to stay within the region and close to the vineyards and wineries, to really immerse themselves.” McGregor said. The Abode Group has an ambitious regional expansion plan in Tier-II markets, with feasibility studies on multiple regional sites under way. “We could see the potential of Murrumbateman as a location, and our strategy is to expand further into regional NSW, looking at other key locations like Goulburn, Wagga Wagga and Albury,” Donkin said. Abode Group manages the Canberra region’s largest hotel brand, Abode Hotels, with 400 rooms under management across four properties (in Woden, Narrabundah, Tuggeranong and Gungahlin), and another 400 rooms in the pipeline, including Murrumbateman, properties under development in Kingston and Braddon, and further properties planned for Belconnen and Kingston Foreshore. Abode Group creates accommodation, retail and commercial spaces. Its hotels, restaurants, bars, retail and commercial developments are at the forefront of hospitality, cuisine, design and entertainment. The Urban Developer is proud to partner with Abode Group to deliver this article to you. In doing so, we can continue to publish our free daily news, information, insights and opinion to you, our valued readers.